Syrian protesters have used the Internet to spread their message of opposition and document brutal human rights abuses at the hands of the Assad regime. Meanwhile, the regime has deployed the "Syrian Electronic Army," Assad loyalists intent on shutting down dissidents' online voices and launching cyber-attacks against Western news outlets that criticize the Syrian autocrat. This uneasy balance served as the backdrop for last Friday's World Press Freedom Day. The Internet -- via platforms like Facebook, Twitter, Weibo and YouTube -- has given a voice to hundreds of millions of people. It's also a medium that offers speakers very few protections. Last week, Freedom House released a report revealing that governments are intensifying their efforts to restrict digital media. "Repressive measures included the passage or heightened use of new cybercrime laws (Thailand, Russia); jailing of bloggers (Egypt, Gulf Arab states, Vietnam); and blocks on Web-based content and text-messaging services during periods of political upheaval (India, Tajikistan)," the report says. And the threat isn't entirely at the hands of governments. In last week'sNew Republic , Jeffrey Rosen reported on a cadre of twentysomething "Deciders" employed by Facebook, Twitter and YouTube to determine what content is appropriate for those platforms -- and what content should get blocked. While they seem earnest in their regard for free speech, they often make decisions on issues that are way beyond their depth, affecting people in parts of the world they've never been to. And they're often just plain wrong, as Facebook demonstrated last week. They blocked a political ad from progressive group CREDO Action that criticized Facebook founder Mark Zuckerberg's support of the Keystone XL pipeline. This case is just one of several instances where allegedly well-intentioned social media companies cross the line that separates Internet freedom from Internet repression. "Hosting your political movement on YouTube is a little like trying to hold a rally in a shopping mall. It looks like a public space, but it's not -- it's a private space," writes Ethan Zuckerman of MIT's Center for Civic Media. "And your use of it is governed by an agreement that works harder to protect YouTube's fiscal viability than to protect your rights of free speech." Zuckerman compares the social media executives to "benevolent despots" who use their corporate terms of service -- not the First Amendment -- to govern their decision making about content. To be more accountable to users, these platforms should adopt publicly transparent processes allowing a full view of every decision to block content. And these sites should invite feedback from users as a check against abuses. 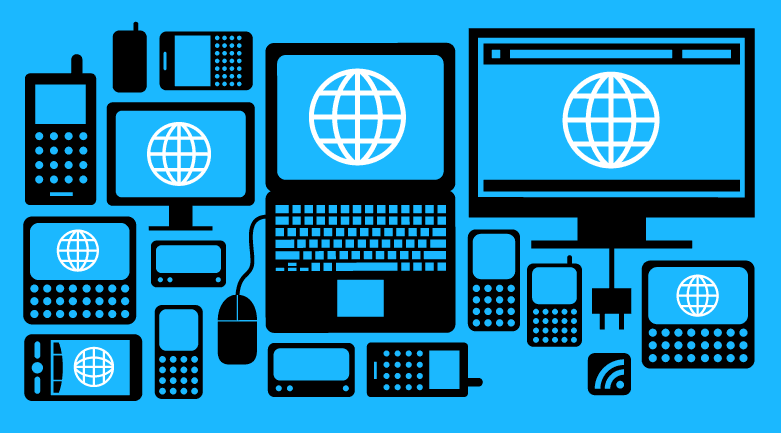 Our Internet freedoms are what we make of them. It's only because so many people have mobilized in defense of the Web in recent years that the Internet pendulum occasionally swings toward the good. But every advance for online expression has come with a fight. As the threat of censorship grows, millions more people must join the movement to protect online speech and deter any corporate or government entity that tries to silence us.